Since moving house I’ve stepped up my level of interiors obsession a notch and the one catalogue I love dropping through my letterbox is the Cox & Cox one. 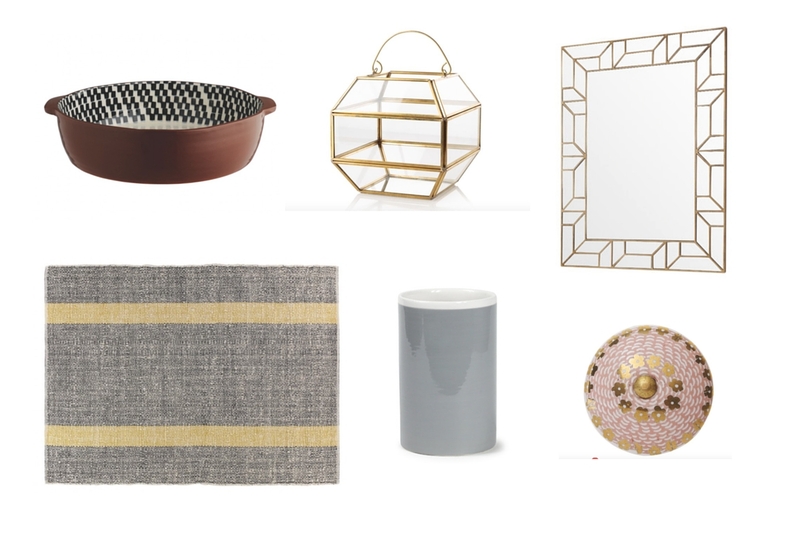 Their style is a perfect match for my own, it’s one of those stores where you love the entire collection and can spend hours choosing which pieces you would have in your fantasy home! 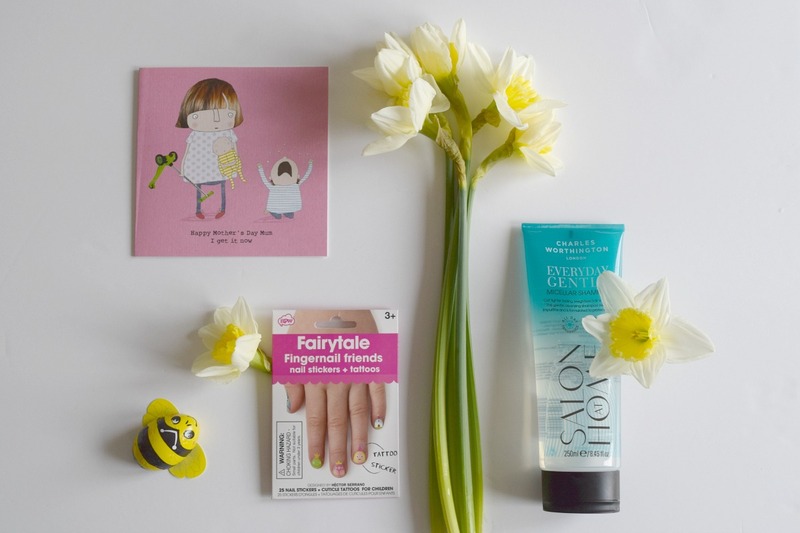 When I was asked if I wanted to review a few of their products I was over the moon, and was totally spoilt for choice with what to pick. I was in the middle of decorating my new playroom / office / family room, and so went straight to look at the shelves as I knew I wanted some to add interest to the (currently) white walls. My long-term plan for the room is to wallpaper one wall but I was advised to wait at least six months for the plaster to settle, so am sticking with fresh white for now. 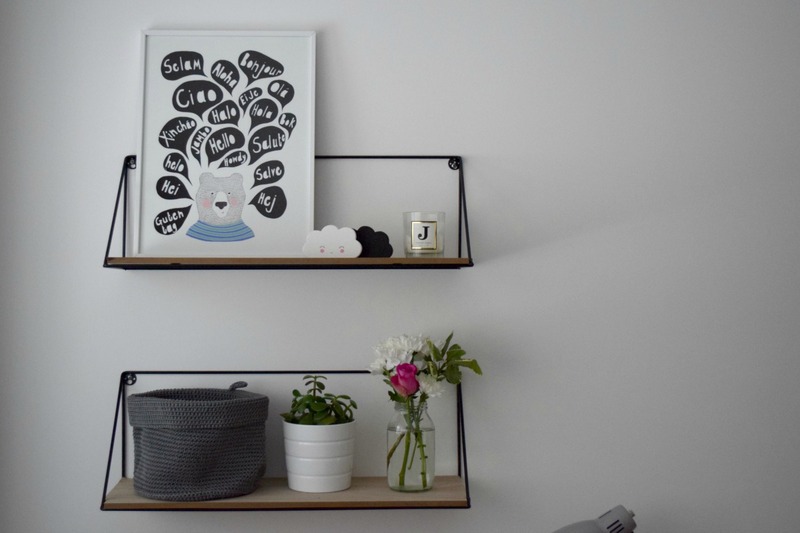 These shelves are a great focal point to display framed prints, flowers, ornaments, anything really and the good thing is they can show off different treasures to suit your mood. I quite often change around the pictures and pots on my kitchen shelves to give the room a slightly different look every now and again. 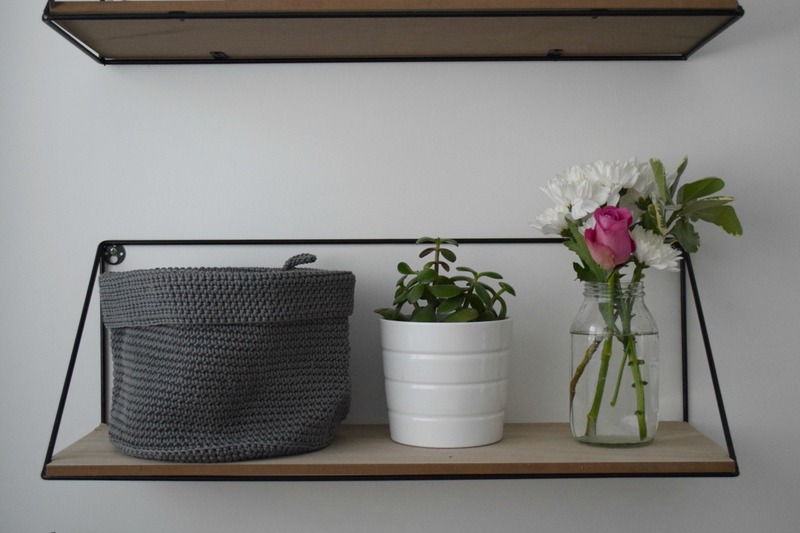 These shelves are the two Industrial Wood and Metal Shelves, which are £50 for the pair. They are so easy to fix to the wall with two screws and look really pared back and stylish. 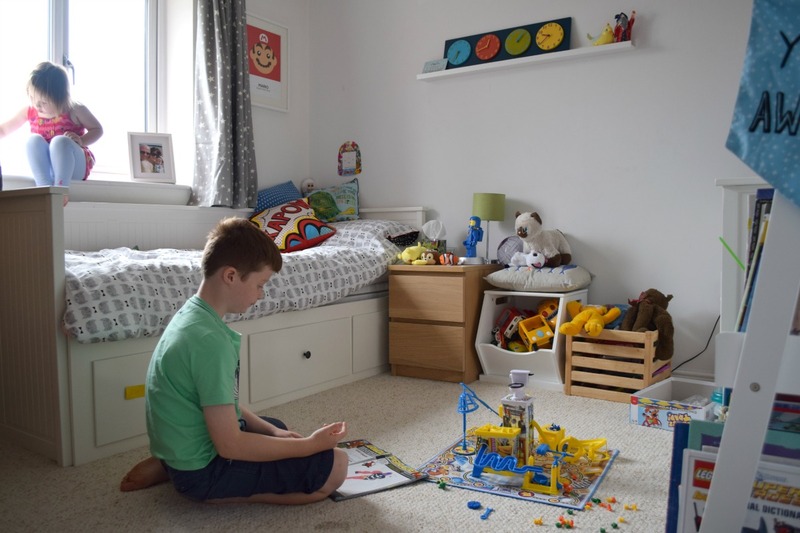 I’ve had so many comments on them already and they fit into my more grown-up area of this room. 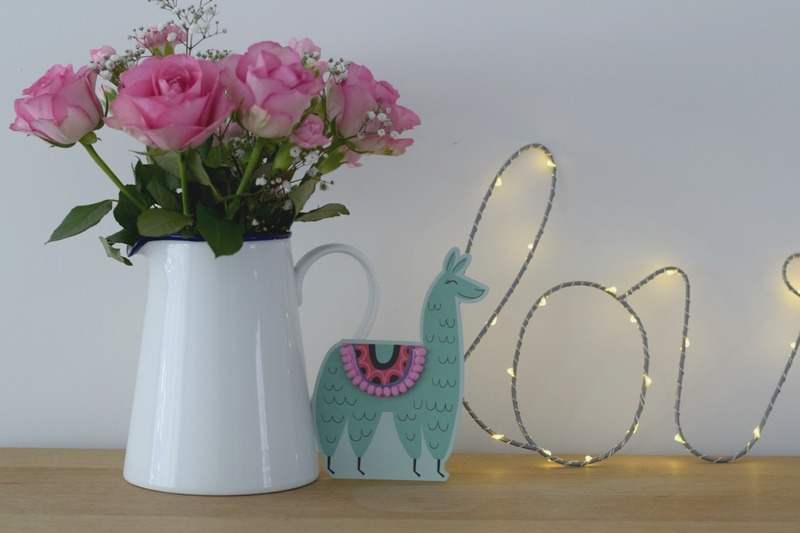 Getting the lighting right in a room is really important and I really like having lots of fairy lights around. They’re not just for Christmas you know! In our old house we once put white fairy lights around some pictures in the hall in December and they stayed for about three years. 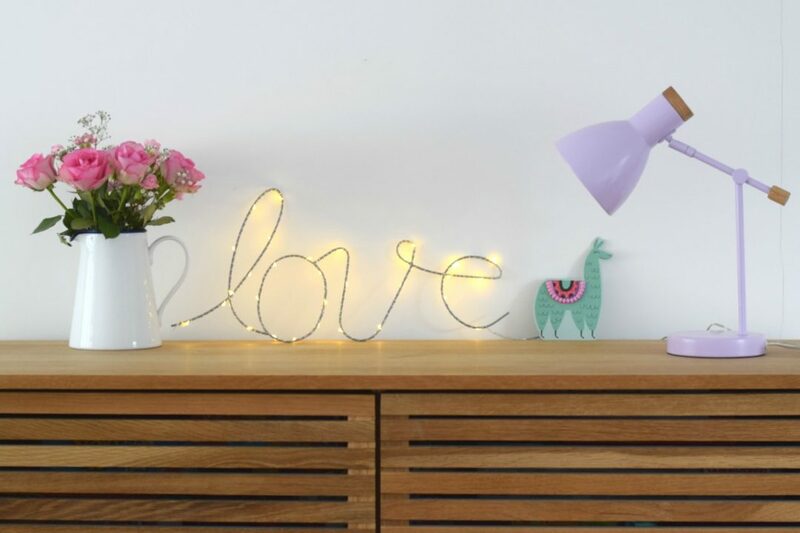 They can really warm up a room and this Love Wire Light (£25) does just the same thing. It’s battery powered so easy to move around and it’s already been in a few different spots in my home. 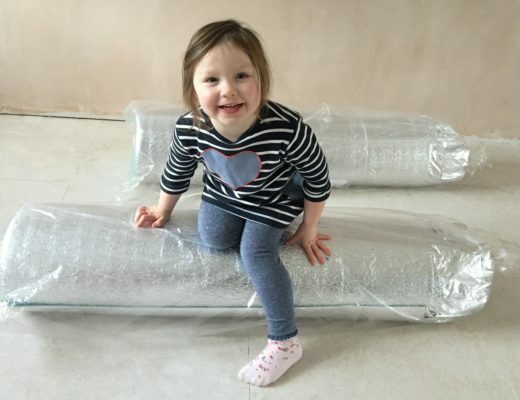 Flo is eyeing it up for her bedroom too, I think it would work really well in a child’s room. 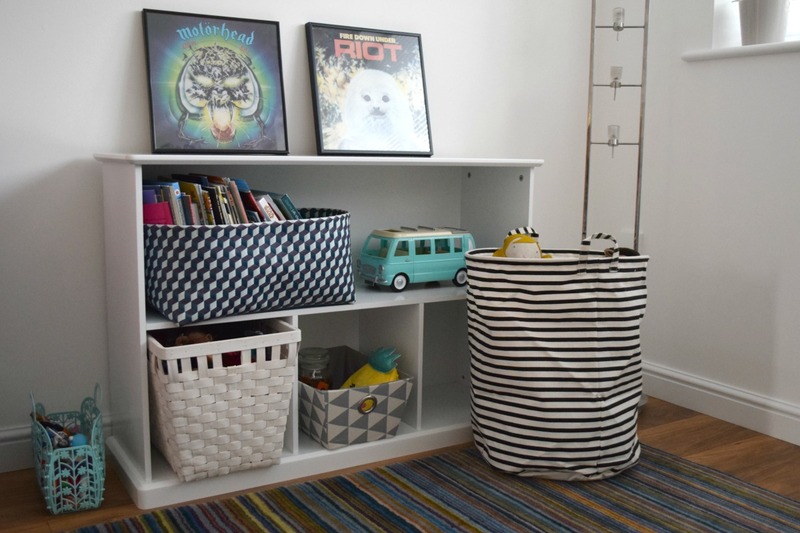 One thing every parent needs is toy storage, and anything that doesn’t actually look like toy storage is a bonus. 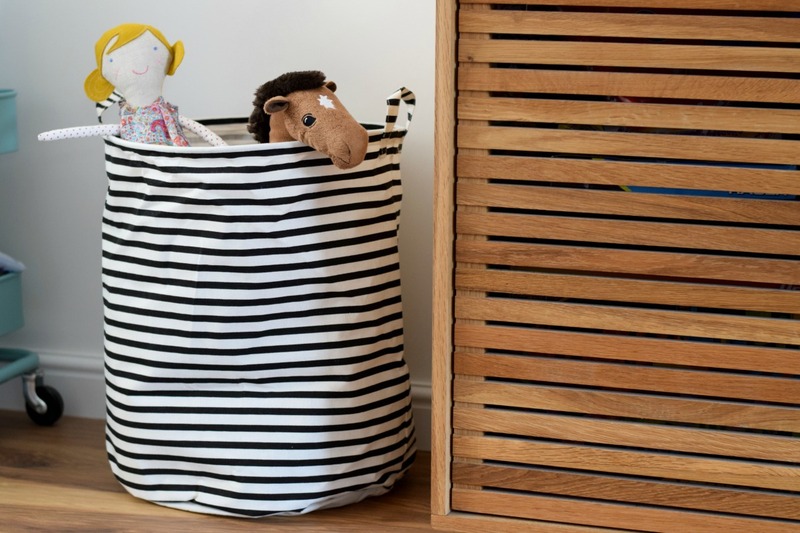 I’m using this Monochrome Striped Storage Bag (£15.50) in the playroom for all the random toys and teddies that get moved from room to room. I love how it looks and the fact that it’s soft so doesn’t have to take up a lot of space. I’d much rather have a few of this type of thing than more cupboards. I’ve been having a look at some more Cox and Cox products and some on my wish list are below. Just look at the colour of that chair! Beautiful! Those dates again | Happy Anniversary to me! Your house is coming on beautifully Julia. That love sign is adorable. 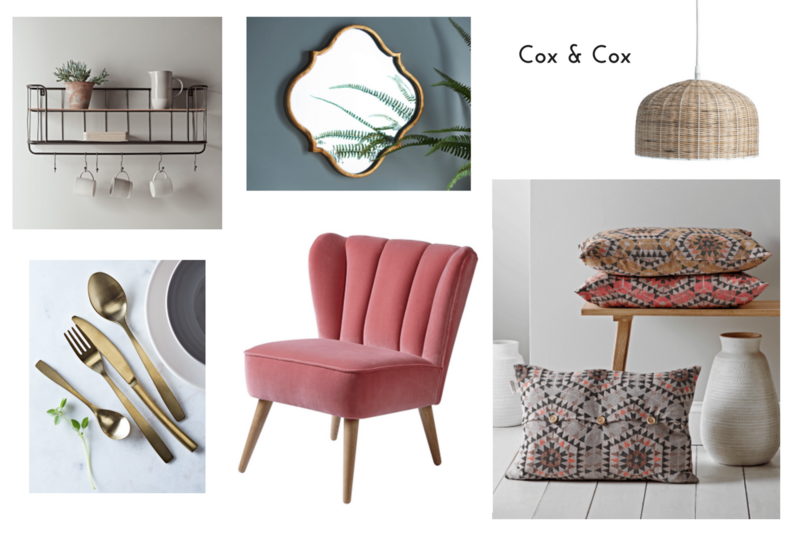 I love Cox and Cox – if only i had the budget to buy it all! I love all your choices – I adore the Love sign! It’s perfect!